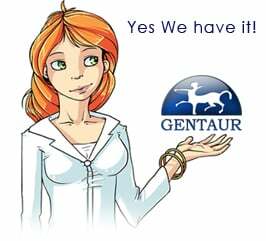 Gentaur antibody-antibodies.com The Marketplace for Antibodies : Coupling of NAD+ biosynthesis and nicotinamide ribosyl transport: characterization of NadR ribonucleotide kinase mutants of Haemophilus influenzae. Coupling of NAD+ biosynthesis and nicotinamide ribosyl transport: characterization of NadR ribonucleotide kinase mutants of Haemophilus influenzae. Previously, we characterized a pathway necessary for the processing of NAD+ and for uptake of nicotinamide riboside (NR) in Haemophilus influenzae. Here we report on the role of NadR, which is essential for NAD+ utilization in this organism. Different NadR variants with a deleted ribonucleotide kinase domain or with a single amino acid change were characterized in vitro and in vivo with respect to cell viability, ribonucleotide kinase activity, and NR transport. The ribonucleotide kinase mutants were viable only in a nadV+ (nicotinamide phosphoribosyltransferase) background, indicating that the ribonucleotide kinase domain is essential for cell viability in H. influenzae. Mutations located in the Walker A and B motifs and the LID region resulted in deficiencies in both NR phosphorylation and NR uptake. The ribonucleotide kinase function of NadR was found to be feedback controlled by NAD+ under in vitro conditions and by NAD+ utilization in vivo. Taken together, our data demonstrate that the NR phosphorylation step is essential for both NR uptake across the inner membrane and NAD+ synthesis and is also involved in controlling the NAD+ biosynthesis rate.